Our Chesterfield label and quality are the best in the market. On our Chesterfield label and quality page you can read more about the materials we use. We offer you a quality that you can hardly buy anywhere in the market because almost no one makes more furniture, which could last for about thirty years. During our restoration restoration, we noticed that quality has left a lot to be desired in recent years, this is partly because it is living in a discarded society. But what if you do not want to buy a new bank every five years? Where do you buy a good piece of furniture. Paying a higher price is no guarantee for a good basis. The satisfaction of working with old-used Chesterfields has always been very great for us. With our label and quality we had the advantage that we could rebuild this style of furniture completely from the frame. Building a product that can last for decades seems very unrealistic today. For us, it's the only way to build a Chesterfield. As one of the few we can guarantee that our frames are really 100% beech wood, this applies to our entire collection. The Mister Chesterfield label is more than passion. We have been in this industry since 1945 and have been working for 4 generations. 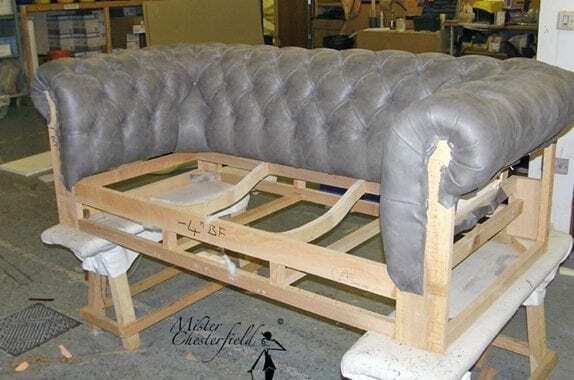 Setting up our own Chesterfield label has actually been a logical continuation of our experience in the recovery operations. The satisfaction with old Chesterfields has always been very good. A new product was most welcome, provided it was just our business idea. Processing beautiful materials in your own collection is already a pleasure. This is not limited to the use of a beautiful piece of leather. 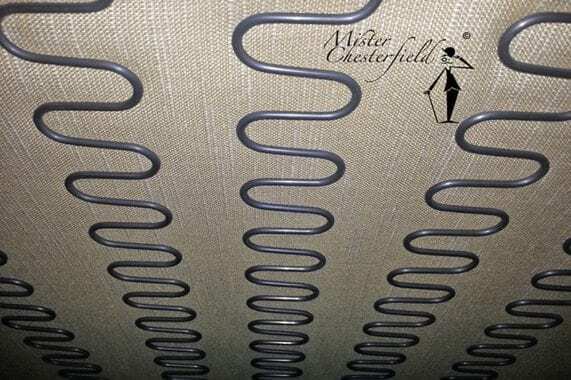 A "Mister Chesterfield" is made of specially selected materials. This ensures that our Chesterfields have a comfortable seat. Chesterfields aged 30 years and older have made the name Chesterfield big. Solid and indestructible furniture with character. If you've ever seen an old classic near you, you know exactly what I mean. During our restorations, we have noted that the quality left over in recent years. We deliver a product that is made as good as possible and finds personal quality more important than the price. It seems that today only a cheaper price is the best choice but we believe there are more people like us who just want to buy something beautiful and have an eye for detail. Our furniture is entirely manufactured to our guidelines. For example, we know exactly which person has worked at a Chesterfield and they know our special sheets according to our requirements. Decline at multiple studios sounds nice, but a good supplier can make almost any model for you, regardless of model or appearance. We offer you the Chesterfield with the real classic as an example, a custom-made / made to measure product like this with more stylish products. With all our newly furnished seating furniture, you will receive a certificate. Made of a beautiful quality beech wood. This tough wood is ideal for use in sitting furniture. The constructions are assembled by means of pen and hole and doughs. As you can see in the picture, we make use of double shoe rules, which makes it easy for the suspension of suspension + weight of person to be worn. Nosag, also known as zig-zag suspension, is preferred for singles. A good choice, provided a good quality nosag with good clips has been applied. The picture shows the amount we apply by default. 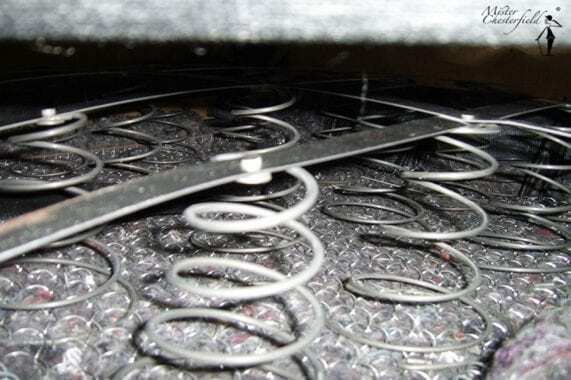 The patent coil suspension is tailor made is flexible and comfortable. This suspension is also processed in our knotted seat variations. In the past, coats, crin, horse hair, garbage bags, cotton wool in Chesterfield were processed. Today we are having good quality foams, for Dutch people like cold foam, the English do not use this term, they are talking about e.g. A RX400 Pink Reflex Foam. Foam is available in several densities, hardnesses and colors. Generally, the higher the density, also the specific gravity, e.g. S.G. 40. The stiffer the resistance. We often choose combinations of multiple fillings to fulfill your wishes. A good advice is important to realize your personal wishes. Completely tailored to your wishes because it is always personal. The one now wants a hard tight smooth seat without folding, the other a more nonchelant look as soft as possible. The choice of leather also determines the appearance.